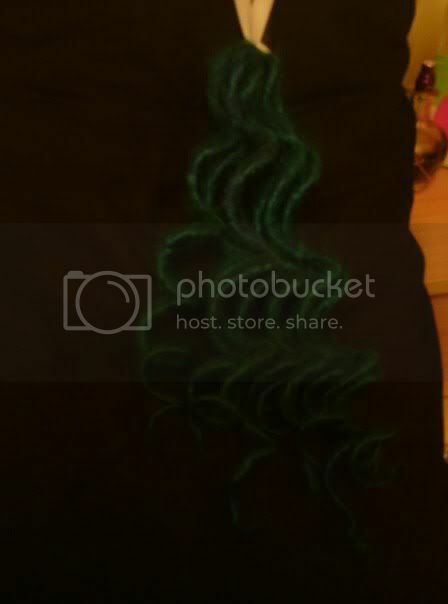 These are my first curly dreads, Ive only made 4 as an experiement but a customer has shown interest in curly dreads. Excuse the pic quality, might upload more later. Do they look alright? any suggestions? do you reckon they're too 'tight'? and do you reckon they'd hold up well? Also, curly dreads in general- do they hold up well, I dont mind my dreads when they loosen up a bit, is this the same with curlies, or do i want to be re steaming/curling them often? Last edited by starfragment666 on Tue Nov 30, 2010 6:35 pm, edited 1 time in total. They look good to me. the curls do drop a little but not too much. there are a few posts about on here regarding general wear of curlies. They look perfet. The curls do drop... its a gravity thing, but only in yo a nice softer curl. Mine have been through the washing machine 5 or 6 times and are still curly. Do you reckon theyre at sale quality? from the pic we cant really see the general quality of the dreads but the curls do look nice. the better the dreads are made the less the curl drops IMO. They do look seller quality to me, but in my personal opinion be careful with the ends as you can tell you have put the elastic band on the dread then wrapped it the other way around the pole if u get me? Those little kinks on the end of the dreads make them look a teeny bit messy but the rest look gorgeous! Monique_marion_may wrote: They do look seller quality to me, but in my personal opinion be careful with the ends as you can tell you have put the elastic band on the dread then wrapped it the other way around the pole if u get me? Those little kinks on the end of the dreads make them look a teeny bit messy but the rest look gorgeous! Is there a better way to prevent this? 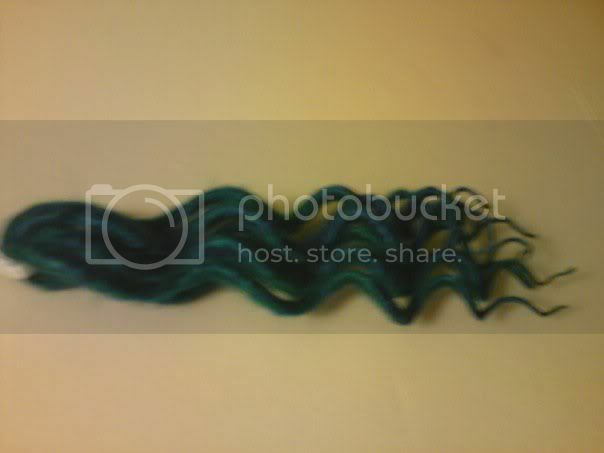 i might make the next ones a lil bit longer so i can trim off the kink, or just re steam the ends? Yeah, better I like the way the curl is pretty loose at the top & gets tighter as it goes down. DreadstarMonstar wrote: Yeah, better I like the way the curl is pretty loose at the top & gets tighter as it goes down. Thanks for your comment - I feel confident that i'll be able to make the set she might want. Oh yeah, those babies are SWEEEET! I've never tried to make curlies before, but if you **do** want to tighten up the ends, I bet a straightener'd be able to do the job for you. JUST on the ends, I mean, of course, and I wouldn't take my word for it!! I trimmed the neds off a lil, i think in the future i will keep the ends wispy then trim a lot off after curling. a tip for the ends when youre making curlies, try using pipe cleaners or plastic coated wire to secure them, thats what i do! [Phexxie] wrote: a tip for the ends when youre making curlies, try using pipe cleaners or plastic coated wire to secure them, thats what i do!